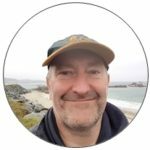 I have been looking at the Guernsey jobs scene and recruitment agencies online to see what is happening in the local market and how they are advertising their job vacancies. You will have to accept my apology now because some of what I have written is from a marketing point of view and how websites may be monetised. 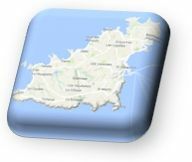 The thing that hits me is that there are several categories of websites that are looking for candidates to fulfil their positions right here in Guernsey. The first category of website is the Guernsey recruitment agency. These are companies that advertise a range of Guernsey job opportunities. They are like estate agencies but they are advertising jobs not houses. They are the middle man between employers and employees that match job vacancies to people wanting employment. Basically, they make the job seeking procedure much more efficient for all parties. They work by a company contacting the agency saying that they have a job vacancy available. The agency will then check their existing database to see if there are any candidates that match the job and also they will advertise on their website to find matching candidates. Recruitment agencies make their money by charging a fee to the employer if a position in their company is filled. This is typically a percentage of the annual basic salary which could be 10% up to 20% or higher, depending on how difficult the position is to fill. The second category of website for Guernsey jobs is individual companies or bodies. These are normally large companies that have a large turnover of staff or they have a powerful website that enables them to get onto the first few pages of Google. They don’t need to pay a third party because they are in direct communication with the future employee. Another way jobs are advertised in Guernsey is by a local search engine. A couple appear to be sponsored by the states of Guernsey. It’s not as comprehensive as the recruitment agencies and they may or may not charge a fee to be listed on it but you can click on a link directly to the employer so I don’t believe a commission is paid to the States of Guernsey like the recruitment agencies do. This is a different one. It advertises jobs that appear on all recruitment agencies and several individual Guernsey companies also. When you click on a recruitment agency advert to read more about the vacancy, and your interested is piqued in that job, you have to click on the link to view more information. This link leads you to the recruitment agency. The Guernsey Press will probably get a commission from the recruitment agency for giving them the business as it looks as though there is an affiliate code embedded in the link. When you click on the individual companies needing employees, there is a link direct to the company without an affiliate code. Individual companies probably pay a fee rather than commission to the Guernsey Press to advertise on it. 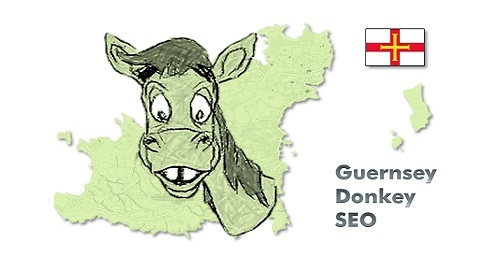 The fourth class of website advertising Guernsey jobs is the national/international search engine type websites. There are 2 types of these, one is a generic search engine that includes jobs from all sectors, from Guernsey and all around the UK and globally. The other is a dedicated industry search engine for all around the UK and globally. I don’t really understand why these search engines exist. It’s great that they do because if you are relocating to another area, you can look for jobs in that area. What I mean is, I don’t know how they monetise the site. I am saying this from a marketer’s point of view. I don’t see how they can be affiliated because there are too many individual jobs available. If you click on one of the jobs on the search engine website, you go directly to the employer’s website where the vacancy is.